While Park City is often recognized as a world-class winter resort destination, summers here are truly magical. Perfect temperatures, 400+ miles of easy-access trails, outdoor deck dining galore, and let us not forget the plethora of live music and outdoor concert venues. Park City and Summit County’s live music scene is booming, and includes something for every budget (some are FREE!) and every taste. New this summer, Deer Valley Resort, in conjunction with the State Room, will host the Deer Valley Concert Series. Held at the resort&apos;s Snow Park Outdoor Amphitheater, acts are to include the Decemberists, Jason Mraz, and Luke Nelson. The series kicks off in August and each show will feature three seating options – general admission lawn, general admission floor, and reserved seating. Purchase your tickets and learn more here. 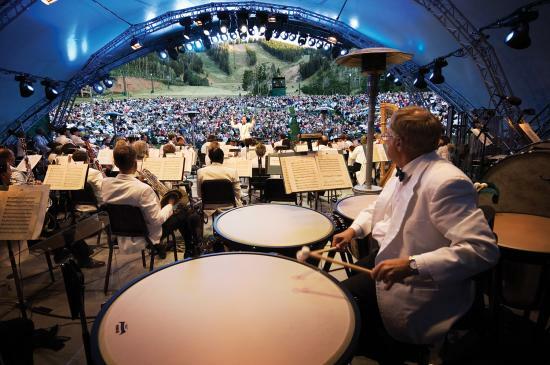 The Deer Valley Music Festival is the summer home to the Utah Symphony/Utah Opera. Enjoy a unique variety of classical, chamber, and pops music at the Snow Park Outdoor Amphitheater at Deer Valley Resort. Where else can you see Amos Lee alongside the Utah Symphony? Deer Valley offers a variety of delicious concessions during these performances, or, if you’d rather, you may bring your own picnic basket and your favorite beverages into the venue. Explore the full summer 2018 lineup. Throughout the summer, Park City Mountain will host live music on Friday and Sunday evenings at their Park City Base Area at Legends Bar and Grill, and on Saturday evenings on the PayDay pad. There&apos;s no better way to spend a weekend evening than by taking in some fresh air as you groove along to live music. Explore the full line-up of the resort&apos;s summer concerts on their website. Live performances by your favorite stars and crisp mountain air with a beautiful Park City backdrop – what could be better? This year’s Big Stars Bright Nights concert series features Grace Potter, Bruce Hornsby and the Noisemakers, and the Los Lonely Boys. This year&apos;s shows will take place at a new venue that has not yet been announced. Seating will include reserved options as well as general admission on the lawn where it is BYOB – bring your own blanket (and beer!). Picnic baskets and outside beverages are allowed. Buy your tickets here. Grab your dancing shoes, your family, and a blanket for these summertime concerts at Canyons Village, hosted by Canyons Village Management Association and Mountain Town Music. This concert series, hosted at the Canyons Village Stage, highlights musical acts from across the U.S. (including a few local acts), and is sure to get the crowd moving. Consider using free public transit or riding your bike as parking will be limited. This free concert series, held at the picturesque Snow Park Outdoor Amphitheater at Deer Valley Resort, is a consistent favorite among locals and visitors alike. Grab a picnic, your favorite beverages, and a blanket, and allow an array of local and visiting musicians serenade you as you take in Park City&apos;s beautiful summer sunsets. The temperature cools off once the sun sets behind the mountains, so don’t forget a few warm layers. Located about 15 minutes from Park City in Kamas, UT, Dejoria Center will offer a variety of concerts throughout the summer, some of which are free. Enjoy a quick bite at the State Road Tavern or Bar Josephine before dancing the night away. View the entire event line-up here. 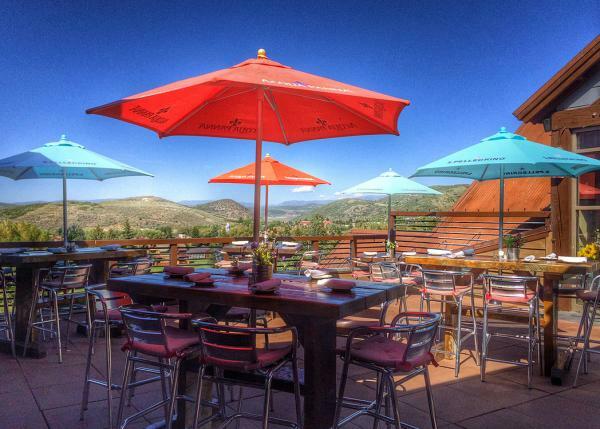 Located just off the beaten path, Silver Star Café is a cozy restaurant with delicious food, wine, beer and cocktails, accompanied by a beautiful outdoor seating area and a robust list of live music offerings throughout the summer. Enjoy views of the Uinta Mountains, the Park City Golf Course, and Park City Mountain Resort as you listen to talented local musicians. Their 2018 summer lineup is something to get excited about! Located on Park City&apos;s Historic Main Street, O.P. Rockwell hosts a wide variety of fantastic shows throughout the year, and the fun doesn&apos;t stop during the summer months. An intimate music hall with stand-out craft cocktails, a show at O.P. Rockwell is an experience you&apos;ll want to add to your Park City to-do list. Check out their full summer concert line-up here. Peoa, UT is a small town, located just outside of Park City in Summit County. Its outdoor concert venue, located in Woodenshoe Park, plays a large role in the vibrancy and sense of community created within the town. Every Friday night throughout the summer, members of the Peoa community and greater Summit County join together for an evening of BBQing and dancing along to live music among family, friends, and neighbors. The Yardbirds, Al Jardine, the Steeldrivers – those are just some of the shows you won&apos;t want to miss this summer and fall at the Egyptian Theatre. Located on Historic Main Street, the Egyptian Theatre is a Park City staple that hosts concerts and plays throughout the year. Explore the full list of entertainment options and purchase tickets here.